overyourhead: I recently bought a pack of sausages from Tesco with a picture of Jamie Oliver on the front. On the back it read "Prick with a fork". I admire their honesty. 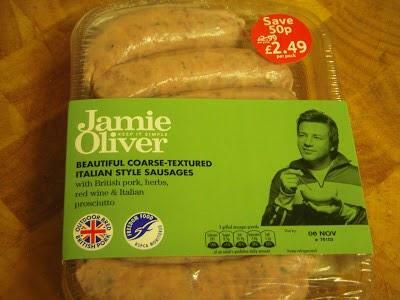 I recently bought a pack of sausages from Tesco with a picture of Jamie Oliver on the front. On the back it read "Prick with a fork". I admire their honesty.